Architectural — A.D. Welding & Fabrication Inc. 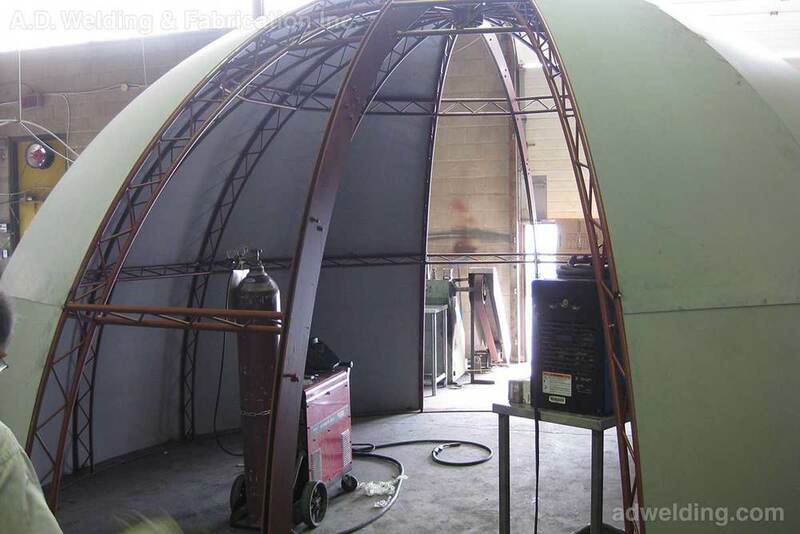 Scope: Design and fabricate tubular steel dome structure with sheet metal cladding. Built in two halves for transport and re-assembled on site. Air-lifted into place. Laser cut outer panels and custom rolled tubular components.